you cleaned your makeup brushes? Last week, last month, last ?? Makeup brushes can make the difference between a messy and flawless makeup application. 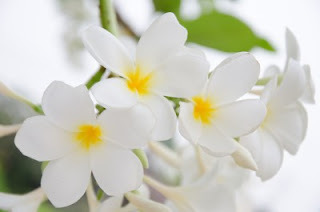 They are one of the most useful items/tools that you can invest in for your beauty routine, and if you take good care of them, they can last for many years. Dirty makeup brushes can often be the cause of and contribute to a number of “skin issues”, and some itchy/sensitive eye reactions, as they harbour old makeup residue, dead skin cells, germs, dirt, toxins from sweat, oil, and bacteria... So, if you have been having been experiencing blemishes, breakouts or even eye irritation - you might want to look back to the last time your makeup brushes and products were cleaned and disinfected. 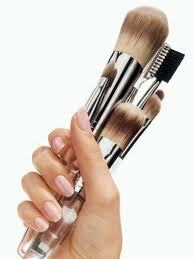 Remember, dirty brushes can contaminate your skin along with the products that you are dipping them into. (continually transferring bacteria etc., back and forth - Yuck). Using clean brushes will help to keep your complexion clear while providing smooth makeup application. The easiest way to clean your makeup brushes naturally, of course, is to just use an organic/natural cleanser or shampoo (ie. Purple Essentials Organic Baby Wash or our SLS Free Shampoo) - whichever shampoo/cleanser you choose, make certain that it is a gentle/non-stripping formula. Well, it actually depends on the brush. A great rule of thumb is that any brush used on a liquid or creamy cosmetic (like concealer, foundation, eye primer, lipstick, cream eye shadow, etc.) should be wiped down daily. Use a clean cloth wet with 1/2 + 1/2 vinegar and water (most natural option) or with alcohol or cleansing wipe. Important Tip - Make time to wipe down ALL of your makeup containers and the inside of your makeup case or bag at least once a week also. *Whatever you do, DO NOT wipe down the handles of your makeup brushes with Rubbing Alcohol- it can discolour them! 1. Dampen the bristles of each brush (bristles facing down) in lukewarm water. 2. Gently rub small amount of cleanser into the bristles of the brush using the palm of your hand and fingers to thoroughly saturate the brush with cleanser. 4. Rinse again under the faucet (bristles facing down) gently using your fingers to move the bristles around, until the water runs clean and clear. 5. To dry, gently squeeze out the excess water, reshape the bristles and lay the brushes flat on a clean towel - with bristles hanging over a counter's edge, to keep them from flattening out while drying. *Do not dry the brushes upright as water can seep back into the brush, thus compromising the strength of the glue holding the bristle in, and damage the handle.